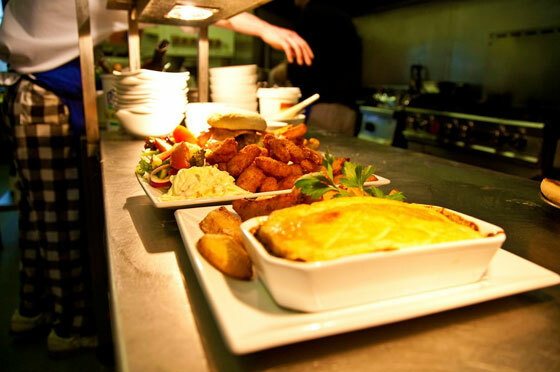 Situated in picturesque Bardsey in north Leeds, The Bingley Arms is no ordinary English pub. 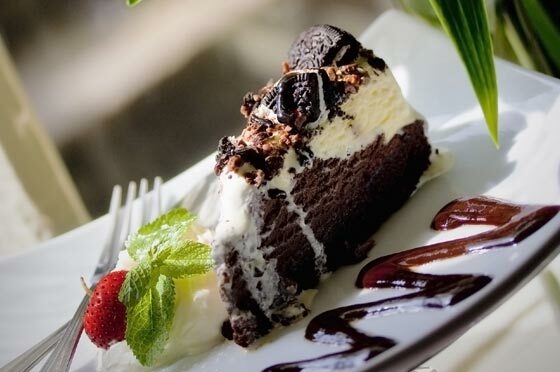 Set against a leafy backdrop, well away from busy roads and with the sound of a gentle stream trickling close by, the pub is recorded in the Guinness Book of Records as the oldest in Britain. 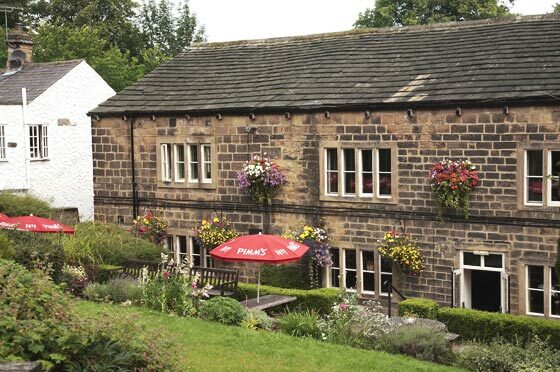 The Bingley Arms, or The Priests Inn as it was called hundreds of years ago, has a known history that dates back as far as 953AD when Samson Ellis brewed in the central part of the building. However, evidence suggests that it might even date back to 905AD and was standing before All Hallows Church, just a few yards away, was built in 950AD. The Priests Inn was a popular spot for travelling monks to rest. The inn was on a main route between Kirkstall Abbey and the Abbey at St Mary’s in York so monks would take a break before continuing on the journey to York. The rest house was later used by stagecoach passengers for a meal, with the adjoining buildings being used as stables for weary horses. From around 1000AD a local court was held at The Priests Inn with offenders being taken to the pillory across the road, opposite the church. Inside the chimney, in the main part of the building, are two priest holes dating back to 1539AD. Here Catholic priests hid for safety following the Dissolution of the Monasteries by King Henry VIII. Such priest holes are not rare, but it’s uncommon to find two in the same place. 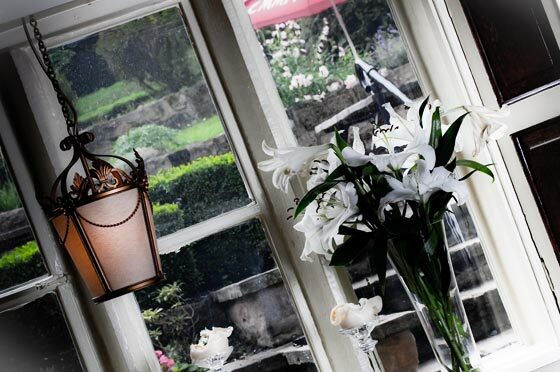 During alterations to the building in the 1700s a fine stone inglenook fireplace was revealed. 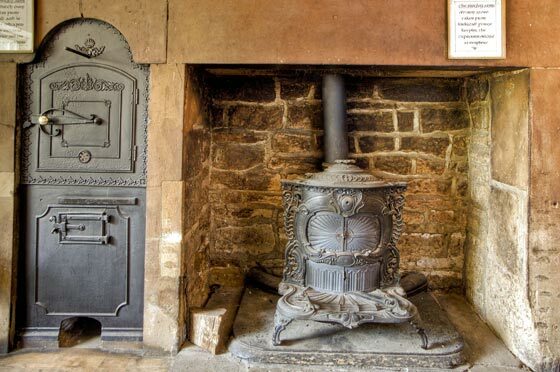 It takes pride of place in the tap room next to a fully-functioning Dutch oven for making bread – one of the few to still be in its original position in England. 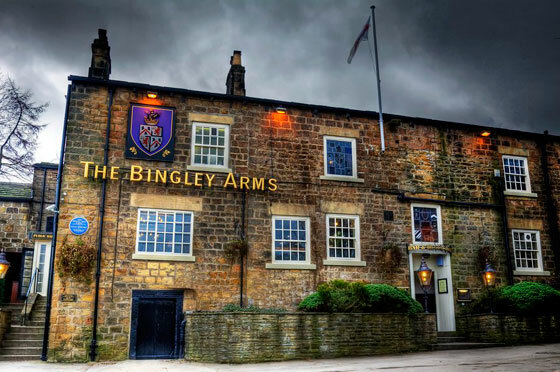 In 1780 the Inn was renamed and came to be known by its name today, the Bingley Arms, after it was taken over by Lord Bingley. 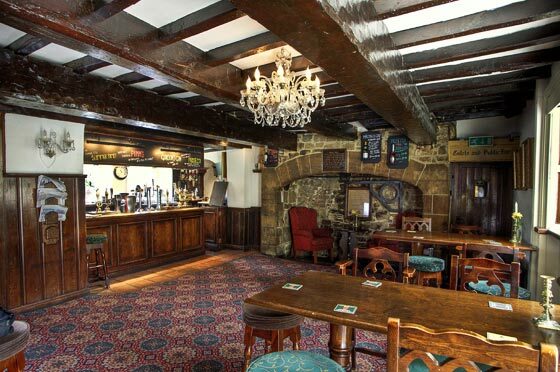 With such a rich history it’s no wonder that The Bingley Arms has had its fair share of spooky goings-on over the years. Objects have moved or disappeared, pans of water have boiled on stoves which weren’t on and candles have lit on their own. Several ghosts have also been spotted at the pub. A cavalier, known as a practical joker with a great sense of humour, has been seen by staff dressed in fine clothes with a large hat, a young girl is said to have been responsible for strange activity and a mysterious dog has been seen walking around by visitors. 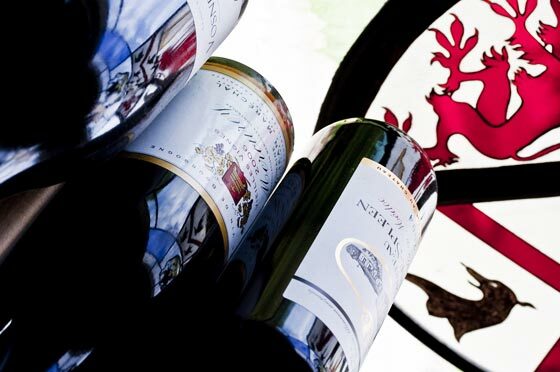 The Bingley Arms boasts history like no other pub in Yorkshire or even England. 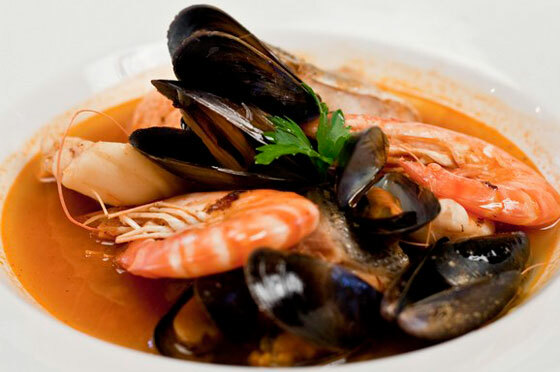 Come and experience it for yourself. 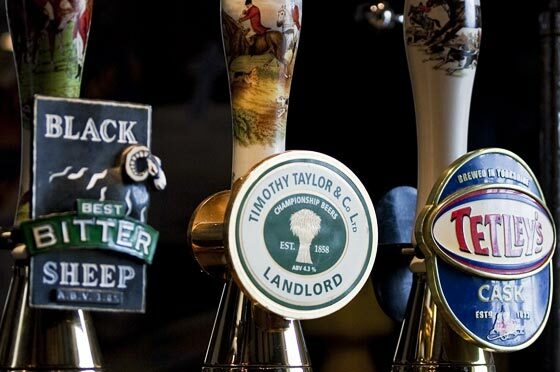 The Bingley Arms is perfectly located in Bardsey near the major attractions of the vibrant city of Leeds and the historic city of York.